A Stanford study on how teens evaluate information they find online revealed that most students absorb social media news without considering the sources and could not distinguish between an ad labeled "sponsored content" and a real news story on a website. Although websites are starting to take the steps to prevent the dissemination of fake news, it is still important to teach students proper research skills and instill skepticism in order for them to be savvy about choosing and believing the information they read. Even though the election is over, our work is never done. Make America Smart Again will be continuing its mission to empower individuals to use their brains and their voices. Education is a lifelong commitment and improving our country should be a goal for every American. Stay tuned for more. We are giving you an opportunity to win a previously sold out IDIOCRACY print, signed by Shepard Fairey! Each person who purchases a Make America Smart Again shirt from our partners Obey Clothing now until 11/2/16 at 11:59PM PST will automatically be entered for a chance win one of these prints. The winner will be contacted on 11/3/16. Good luck! Proceeds from sales will benefit Rock the Vote. Purchase your MASA merch today, wear it proudly, and encourage others to be informed and VOTE! Help spread the Make America Smart Again message in your town! The election is only a few weeks away, so we need your help to spread our message to the masses! You can now download our Make America Smart Again stencil and posters to spread the word about the importance of being informed and participating in our democracy by voting in November. Download the stencil and poster HERE. ***Please be sure to use the stencil and posters with thoughtful discretion...unfortunately, not everyone wants to Make America Smart Again! LIMITED EDITION IDIOCRACY PRINT AVAILABLE EXCLUSIVELY THROUGH MONDOTEES.COM 10/9! To celebrate the cult film Idiocracy's 10th anniversary, MASA founder Shepard Fairey has designed a poster to encapsulate everything we love and fear about the film. This limited edition poster will go on sale on Sunday, Oct. 9 at 5pm to coincide with the second presidential debate and will be sold exclusively through mondotees.com for only 72 hours. "The seeds of Make America Smart Again were planted when Amanda and I noticed a legitimate correlation between the movie “Idiocracy” and the real dumbing down of American media we were witnessing even ten years ago. Idiocracy. 18 inches by 24 inches. Limited run, numbered and signed by Shepard Fairey. $40 each. 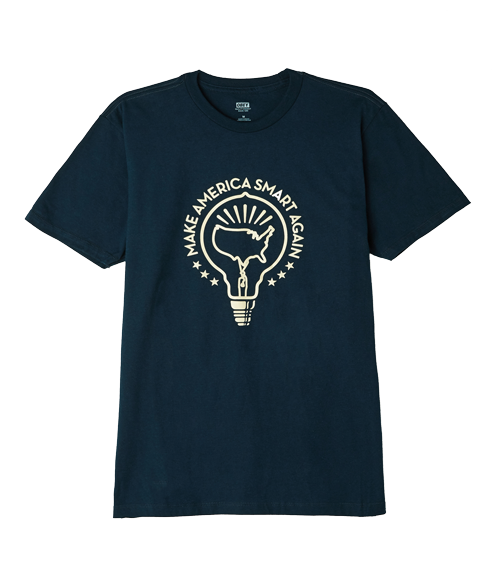 Wear It & Declare It: MAKE AMERICA SMART AGAIN! Partners Obey Clothing are selling Make America Smart Again tees and enamel pins. All profits from sales will benefit Rock the Vote. Purchase your MASA merch today, wear it proudly, and encourage others to be informed and VOTE! Last night, was the first debate between presidential candidates Hillary Clinton and Donald Trump. Make America Smart Again's mission is to empower each individual to use their brain and their voice. We believe in the importance of getting all of the facts so that we can make fully informed decisions when we vote this November. Tonight is the first presidential debate between candidates Hillary Clinton and Donald Trump. Be sure to tune in so you can be informed before you vote in November! The debate will begin at 9pm ET and will be moderated by "NBC Nightly News" anchor Lester Holt at Hofstra University in Hempstead, NY. It will be aired on major networks and last for 90 minutes with no commercials and no breaks. It will also be streamed online. Due to the results of a coin toss, the first question of the night will go to Hillary Clinton and then the same question will then be asked to Donald Trump. In the second segment, the order will be reversed, with the lead-off question going to Trump, then Clinton, and so on. Each segment will begin with a question, and then the candidate will have two minutes to respond, and then the other candidate will have two minutes to respond. This will then be followed by ten minutes of open debate and discussion. TRDMRK (DJ Nu-Mark from Jurassic5 and Slimkid3 formerly of Pharcyde) and DJ Diabetic (Shepard Fairey) kicked the night off with music prior to the screening. Proceeds from the event benefitted the Young Literati of the Library Foundation of Los Angeles. If you couldn't make it out on Saturday, head over to the Make America Smart Again Facebook page to see a video recording of the reunion. Special thanks to everyone that came out to support the cause and our partners that helped us make the night a huge success! Make America Smart Again has created an art installation in the window of Amoeba Music in Hollywood, the world’s largest independent record store. 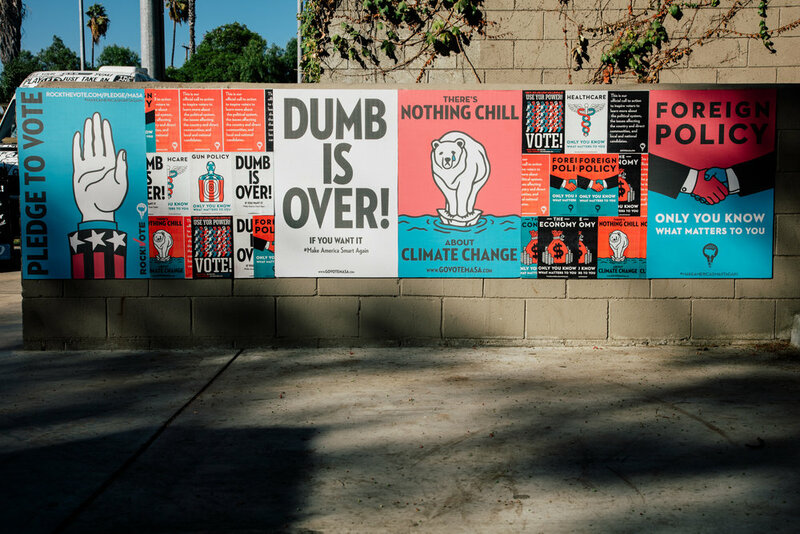 Amoeba asked Studio Number One (Shepard Fairey’s creative agency and the creative force behind MASA) to design and install art to promote the movement and encourage people to vote in this crucial election this November. The light bulb logo was inspired as a symbol of dialogue and ideas and the punk rock inspired “show flyers” are a natural inclusion for this landmark music hub in Hollywood. These flyers are pasted up as calls to action for the viewer. Make America Smart Again encourages citizens to use their power and vote in the upcoming elections. A special unveiling event was held on Sunday, Sept. 18 with a special DJ set by DJ Diabetic (aka Shepard Fairey) and instore promotions. To see the window installation, visit Amoeba Music in Hollywood on 6400 Sunset Blvd. in Los Angeles. Special thank you to Chamo Designs, Monster Media Inc., and the employees at Amoeba Music in Hollywood for helping us make this happen! We are pleased to announce director and stars Mike Judge, Terry Crews and Dax Shepard will be attending the Los Angeles screening event of “Idiocracy” on September 24. “It’s the right movie specifically because of this election cycle," said Shepard Fairey. "More generally, it’s relevant because of the deterioration of media and the strategy to garner clicks rather than provide information, and also the proliferation of misinformation through social media, all make what fictionally took place over 500 years in 'Idiocracy' seem to be taking place over a much shorter period in America today." 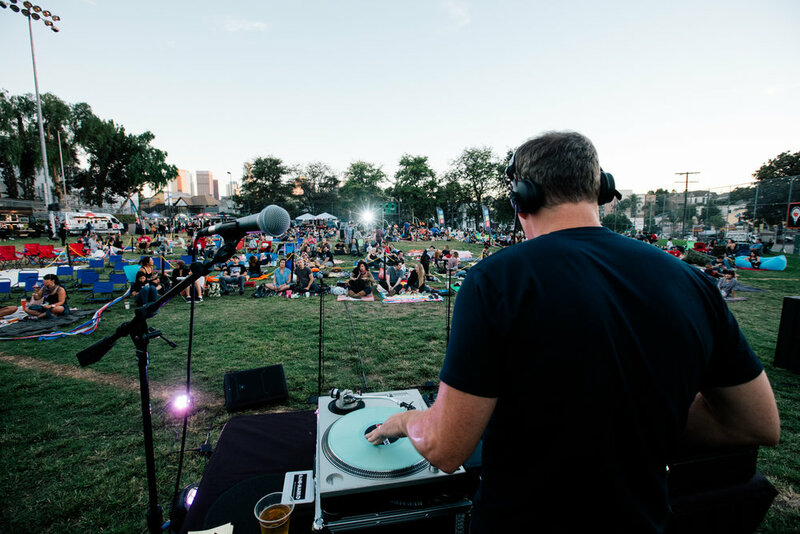 The upcoming screening co-hosted with partners Eat|See|Hear will be taking place on September 24 at the Echo Park Tennis Courts and Baseball field. In addition to the “unofficial Idiocracy reunion,” TRDMRK (DJ Nu-Mark from Jurassic 5 & Slimkid3 formerly of Pharcyde) will be performing alongside DJ Diabetic (aka Shepard Fairey) prior to the screening. Proceeds from the event will benefit the Young Literati of the Library Foundation of Los Angeles. Last weekend we did our first #MakeAmericaSmartAgain screening of Mike Judge’s movie “Idiocracy” in Detroit and it was a great success. We’re lucky enough to have had incredible support by our friends at the Library Street Collective, The Skip Bar in Detroit, Vote Detroit andDetroit Soup. I really love Detroit and the rich creative community and engaging dialogue that seems to always happen whenever I strike up a conversation with a Detroiter. The people are so inspiring and I’m very happy with our event. The momentum coming out of Detroit is really exciting as we look now to September 24 in Los Angeles. More updates on the LA front will be happening very soon! But for now, don’t forget to get your tickets. A big thank you to JJ and Anthony Curis and all the partners at The Skip, Allison Kriger, Ellen Vial and Katy Cockrel from Vote Detroit, Awenate Cobbina from the Detroit Pistons Foundation, and Amy Kaherl of Detroit Soup. It also couldn’t happen without my team at Studio Number One. Detroit Free Press wrote a great article about “Idiocracy" which I was interviewed for. It’s definitely worth a read and gives context to why “Idiocracy” is the perfect film to screen right now. Click here to read. 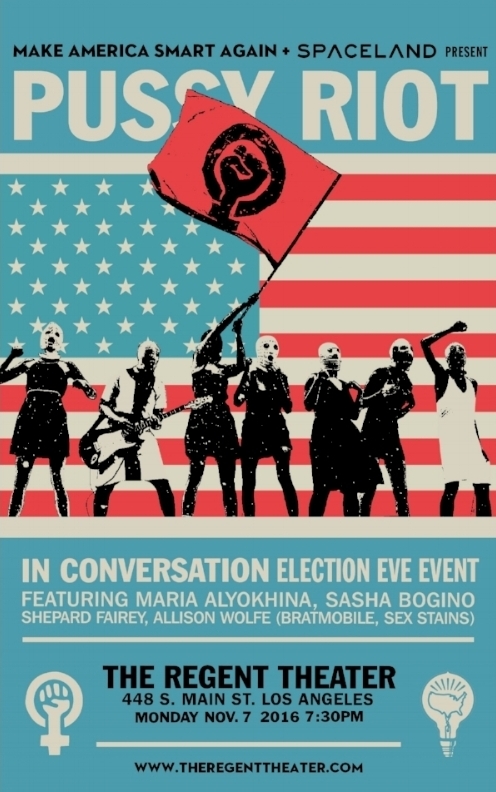 #MakeAmericaSmartAgain (MASA), a voting initiative founded by Amanda and Shepard Fairey today announces events in Detroit and Los Angeles this September. The goal of MASA is to encourage voter education and registration during this election season. Events include screenings of the cult film “Idiocracy,” live music, and programming to inspire citizens to stay informed and motivate voter turnout for this upcoming election. 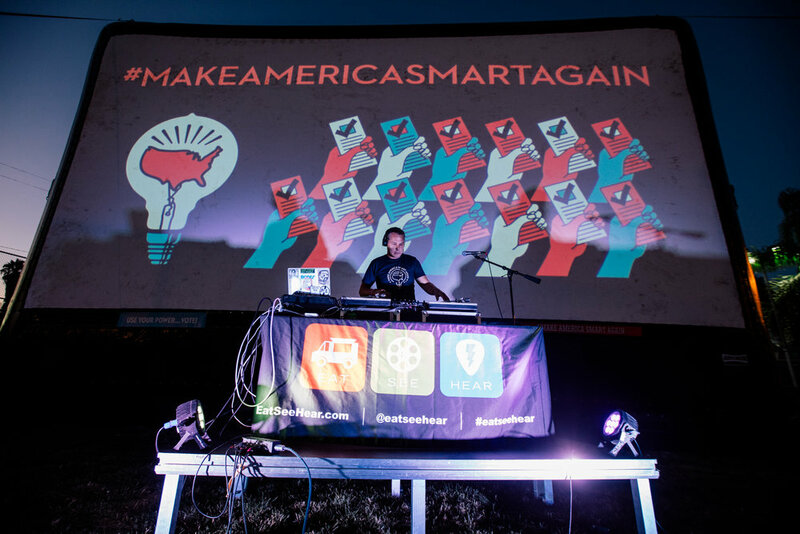 Created to combat voter apathy and the spread of misinformation MASA is generating conversations with fun events intended to spark a sense of urgency this election season. “Idiocracy” is a cult comedy directed by Mike Judge that satirizes the rise of commercialism and decline of human intelligence in a future dystopian society. The film was selected as a tool to remind and inspire audiences to use their brain and participate in our democracy. The first MASA event is Saturday, September 3rd at The Skip in Detroit, Michigan co-hosted with partners Library Street Collective. Proceeds will benefit Vote Detroit, a local grassroots initiative fighting to ensure that the voice of every city resident is heard in the upcoming election. Prior to the screening there will be a Detroit SOUP community discussion by Detroiters to benefit creative projects in their city. An after-party featuring local DJ Amy Dreamcatcher of Nothing Elegant and Shepard Fairey AKA DJ Diabetic will take place at The Skip after the film. On Saturday, September 24 MASA with partners Eat|See|Hear will host the Los Angeles screening of “Idiocracy” at the Echo Park Tennis Courts and Baseball field. 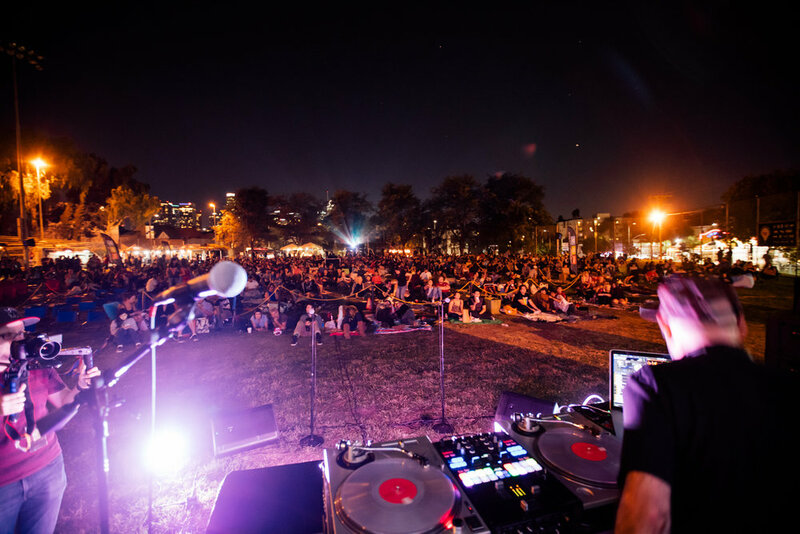 The night will include DJs, special guests, a live performance, and a variety of food vendors by Smorgasburg Los Angeles. Proceeds will benefit the Young Literati of the Library Foundation of Los Angeles. Debate parties, screenings and additional election-themed events will be scheduled leading up to the general election on Tuesday, November 8. Other #MakeAmericaSmartAgain partners include Obey Giant, Studio Number One, Subliminal Projects, Pop and Circumstance, Obey Clothing, Rock the Vote, Amoeba Music, and Spaceland Presents. There has been a recent wave of rulings over voting rights in America where supporters see these restrictions as a way to prevent voter fraud by requiring a photo ID to vote and reducing the number of days in which someone could show up and fraudulently vote. Meanwhile, critics have evidence that these laws infringe on people’s right to vote and target minority voters. One widely cited 2006 study by the Brennan Center found voter ID laws disproportionately impacted black voters: 25 percent of black voting-age citizens did not have government-issued photo ID, compared with 8 percent of white voting-age citizens. With less than 100 days away until Election Day, it is more crucial than ever to educate yourself on the issues and candidates, register to vote, and encourage others to do the same. 88 million eligible adults do not vote at all, even in the general elections and only 9% of Americans chose Trump and Clinton as their presidential nominees. That’s a TON of unaccounted votes that can make or break this election! Check out the New York Times’ interactive breakdown to see why your vote is imperative this November!